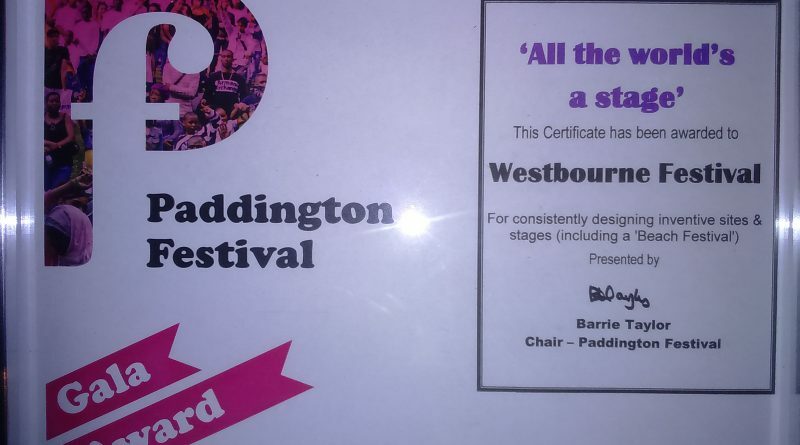 The inaugural Paddington Festival Gala Awards event took place on Wednesday 14th October, at Paddington Arts in Woodfield Road W9 2BE. 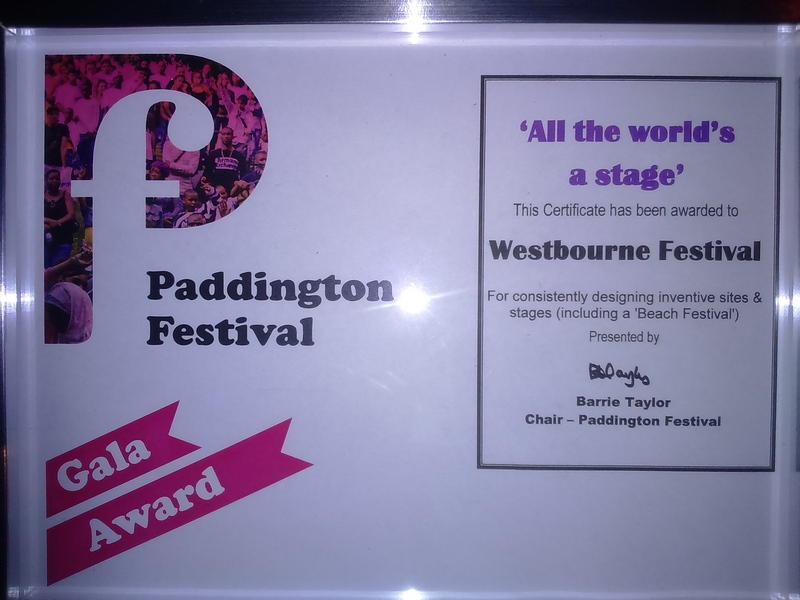 Westbourne Forum won an “All the world’s a stage” award for best festival 2015, and was noted for our previous Beach Festival. These awards cover a variety of events in different wards over the summer of 2015. 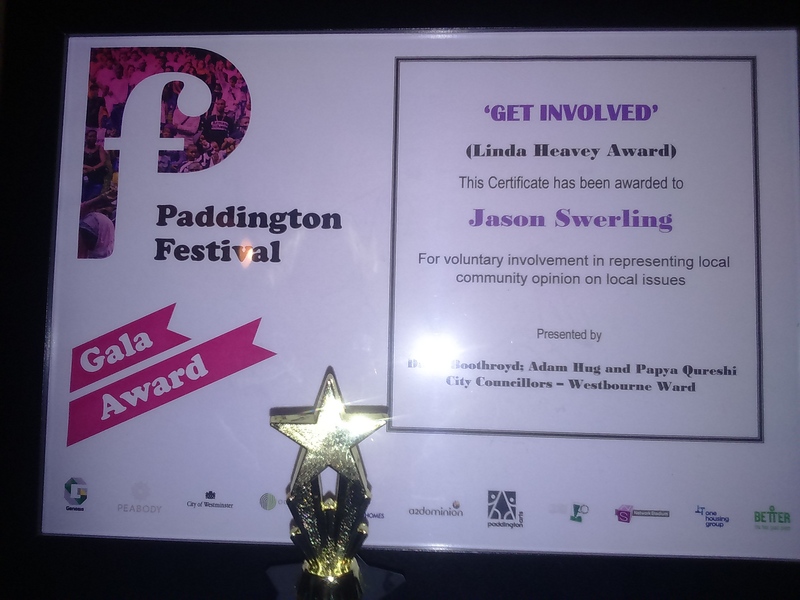 There were also awards for other people associated with Westbourne, including Jason Swerling who received a “Get Involved” Linda Heavy Award. The Gala Awards is a free event that has been designed to celebrate the talents of our local performers and the opportunity to offer public thanks to individuals & organisations that contribute to our local community. The well attended event included the Westbourne Councillors and Karen Buck, our local MP. Next year should be even better. ← Hathaway House in Woodfield Road – view and discuss the plans.